Excessively pricey bills, long waits for staff, rude doctors and difficulties setting up appointments drove people to rant about their hospitals on Yelp, according to a study published online Monday. While those issues frustrate patients, most are not tracked on government surveys and ratings programs meant to capture patients' experiences in U.S. hospitals. It's a missed opportunity for actionable feedback and to identify more robust measures, researchers in a study suggest. The online forums can teach policymakers aiming to improve hospital quality by adding major drivers of patients' experiences that are currently missing from the Hospital Consumer Assessment of Healthcare Providers and Systems (or HCAHPS) survey, they said. Only 10 of the 41 categories of patient comments identified in more than 16,800 Yelp reviews posted for 1,352 hospitals (through July 2014) correlated with questions included on the HCAHPS survey. The research, done by a multidisciplinary group of researchers from the University of Pennsylvania and Stony Brook University in New York, is among several studies published online in the journal Health Affairs that focus on the “consumer” experience in healthcare. The CMS has been on a mission to publicly display star ratings that help current and future patients make quality comparisons. Last April, the agency posted how more than 3,500 hospitals performed on HCAHPS, a questionnaire provided to a random sampling of patients within two days after they have been discharged. The questionnaire aims to determine factors such as staff politeness and ability to explain medical information simply, and whether the facility appeared to be clean. Hospitals and health systems trying to improve the patient experience have been hiring chief patient experience officers, learning from the hotel industry and rewarding patients with loyalty points. Still, only 251 U.S. hospitals got five-stars, the highest HCAHPS star rating. Most fell in the middle, with two- or three-stars. Only 101 hospitals got the lowest, one-star rating. Furthermore, while the comparative information might be publicly available, few consumers were even aware that the resource existed, according to another Health Affairs study published this week in which dozens of patients were surveyed. Even consumers who were aware of the CMS' Nursing Home compare website didn't really trust it. “Before people can turn to it, they need to know it's available. And before they trust it, they need to see clearly where the data come from,” explained the lead author of that study, Tamara Konetzka, a professor of public health science at the University of Chicago. Already some quality reporting groups are taking cues from the popularity of consumer-facing review websites like Yelp and Amazon. For example, last August, Yelp announced a plan to enter the high-stakes world of gauging patient satisfaction with the not-for-profit investigative journalism organization ProPublica. The authors of the Health Affairs study that evaluated Yelp postings about hospitals say the HCAHPS survey might benefit from adding a comment feature, which would allow people to rant or rave as they already do on public review sites. Traditionally, HCAHPS response rates have been low, and adding comments could engage more patients. The comments can also be studied systematically to generate new patient experience metrics. While he agrees the concept is intriguing, Niam Yaraghi, a fellow in the Brookings Institution's Center for Technology Innovation who is also researching the topic, says it is important to proceed with caution. 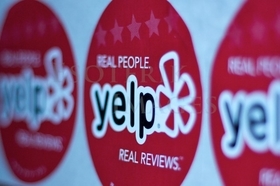 The study authors note that the more Yelp reviews a hospital received, the more likely the topics were to correlate with items on the HCAHPS survey. Simply put, the more comments the better for analysis. He also pointed out that while patient experience is one critical aspect of hospital care, it is not an indication of clinical quality and, therefore, should be taken with a grain of salt.